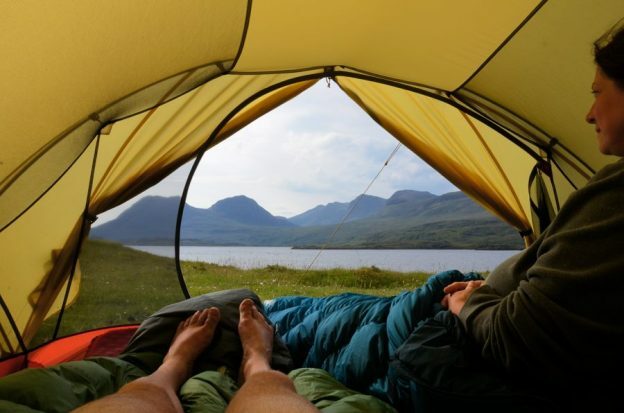 Our reviews and experiences of using our hiking, backpacking and camping gear. This is my current base winter pack, which has kept me comfortable down to 23°F. This entry was posted in Backpacking, Backpacking Gear, Gear, Our Gear and tagged Backpacking, Gear Talk, Our Gear on January 30, 2019 by Gary. Backpacking and Camping Cooking Setup – Fall 2018. My cook pot, stove, and food (ready-made dehydrated meals) have been working well for both backpacking and camping. But the wind screen and pot stand are a little bulky and weighty – between a quarter and half a pound. So, in an idle moment, I thought I’d check and see what other options there might be. Read on to see what I found to replace them. This entry was posted in Affiliate Links, Backpacking, Backpacking Gear, Camping, Camping Gear, Gear, Our Gear, Paddling Gear, Reviews and tagged Backpacking, Camping, Cooking on September 28, 2018 by Gary. At some point I’ll write reviews on my hammock, underquilt, tarp and all the other paraphernalia involved in setting up for hammock camping. For now, I’ll share some of the things I’ve learned so far. This entry was posted in Backpacking, Backpacking Gear, Camping Gear, Our Gear, Reviews and tagged Hammock Camping on June 2, 2018 by Gary. I spent a lot of hours researching hammocks before deciding on the Chameleon. I’m not going to say much about it until I’ve spent a few nights out on the trail, but my first inspection and impressions confirm what I’d read in the reviews, It’s very well made. This entry was posted in Backpacking Gear, Gear and tagged Backpacking on April 2, 2018 by Gary. I’ve been wanting to try hammock camping for quite a while. I’m reluctant to purchase all the necessary gear unless it’s something I’m sure I will be comfortable with — and in. This entry was posted in Backpacking, Backpacking Gear, Campfire Chat, Camping, Camping Gear, Gear, Our Gear and tagged Backpacking, Busiek State Forest and Wildlife Area, Camping, Hammock Camping, Missouri, Ozarks on February 26, 2018 by Gary. I do not like bear bags. Well, that’s not strictly true. I’ve nothing against the bags or having to hoist all the camp food and ‘smellies’ up into the trees … What I don’t like is hanging them, nor do I like stumbling around the forest in the dark looking for a ‘misplaced’ bag. This entry was posted in Backpacking Gear, Camping Gear, Our Gear and tagged Backpacking, Bear Bags, Camping, Reflective Line on February 18, 2018 by Gary. This entry was posted in Affiliate Links, Backpacking Gear, Campfire Chat, Camping Gear, Our Gear, Reviews and tagged Backpacking, backpacking stove, Camping, camping stove, Coleman Exponent, Cooking, Esbit, Our Gear, Review, Stove, Trangia on September 5, 2017 by Gary. This entry was posted in Campfire Chat, Gear, Hiking, Our hikes and tagged Busiek State Forest and Wildlife Area, Falls Trail, Gear Test, Hammock Camping, Van Trail on February 28, 2016 by Gary. 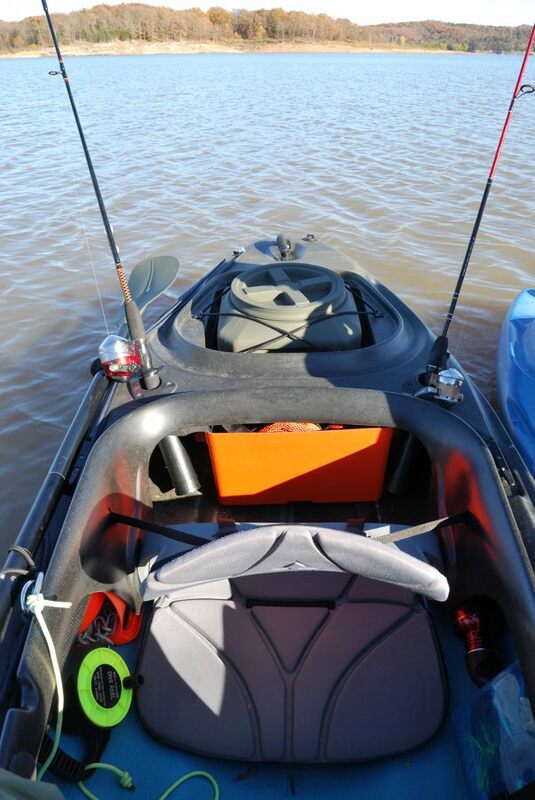 This entry was posted in Campfire Chat, Paddling Gear and tagged kayaking, Paddling on February 17, 2013 by Gary. Ginger wanted a pad that was slightly thicker, (more comfy), wider and warmer than our Therm-a-Rest ProLite Plus sleeping pads. We found our NeoAir All Season pad online at a very reasonable price. This entry was posted in Backpacking Gear, Camping Gear, Gear and tagged Backpacking, Camping, NeoAir, Sleeping Pad on October 10, 2012 by Gary. I bought my GoLite Ultralite 800 Fill 1+ season quilt in March 2011 for shoulder season and summer backpacking and camping. I’ve used it since then for backpacking, car camping, and various other odd nights out away from home. This entry was posted in Backpacking Gear, Camping Gear, Gear and tagged GoLite, Quilt on October 4, 2012 by Gary. We bought this super little lantern for backpacking, car camping, kayak camping and home emergency lighting. I was skeptical of being able to fit it in my backpack – but it fits in an outside side pocket just fine, it is that small. This entry was posted in Backpacking Gear, Camping Gear, Gear, Reviews and tagged Coleman, lantern, Light, Pressure lantern, white gas on July 8, 2012 by Gary.